I’ll say it: Food Network’s competition shows aren’t my favorite. They’ve been good for revenue, of course, but I’d prefer to actually learn about cooking. Like from Sara Moulton, who used to host a live show where viewers could cook along (after buying the posted ingredients beforehand) and call in with questions. My family frequently watched “Cooking Live” and once even made dinner with Moulton as our guide. Weekend mornings are now the “prime time” to learn about cooking, unless you’re able to get the network’s sister channel. Most of the rest of the day, judges are just as important as cooks. 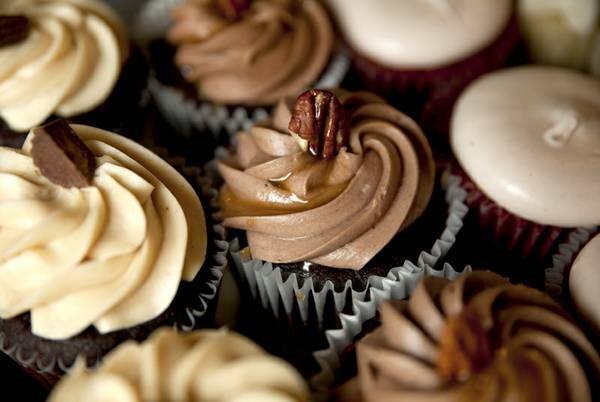 But I’ll make an exception this Saturday night to watch one of our local cupcake shops compete on “Cupcake Wars.” Sweet Reasons will face three other shops in the Miss America-themed episode, airing at 8 p.m. Saturday. When I wrote about the announcement for this week’s Food section, I knew the owners would be able to say very little about the actual experience. It’ll be quite interesting to see what snippets of conversation will be used for the 60-minute show from what they described as a marathon baking-filming day back in June; I’ll certainly follow up afterwards to see how realistically the competition was portrayed. You can find my article here: Sweet Reasons to compete on Saturday episode of ‘Cupcake Wars’. I’m curious, what do you think of the overabundance of in-your-face competition shows? Do you click over to the classics on PBS instead, or like the mix of choices available? I will have to DVR this one. It sounds yummy.